Earlier this week I went along to an event at the National Museum of Scotland run by the University of Edinburgh’s Citizen Science and Crowdsourcing group. There were some fascinating projects and initiatives on display but the highlight of the event was undoubtedly Erinma Ochu‘s engaging and thought provoking public lecture on Crowd Sourcing for Community Development. Erinma outlined the benefits that amateurs can bring to scientific research; they can help to validate data, fill in gaps in data collected by scientists, bring interesting new perspectives and, if they are not overly trained, they may be better able to spot patterns in data that scientists might miss. However Erinma also reminded us of the reciprocal aspects of citizen science. Citizen science should involve scientists serving the community, not just volunteers collecting data for research. It’s important to balance social and scientific value; the community building process is as important as the data product. 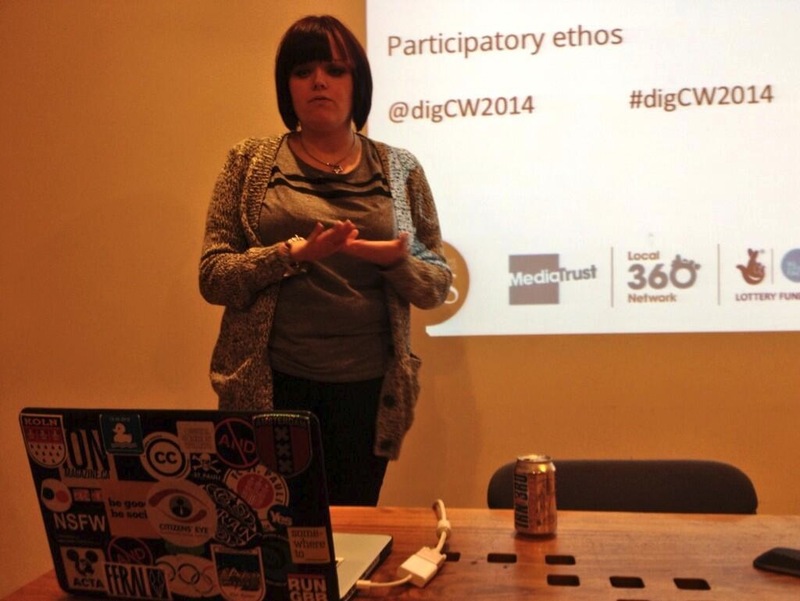 We have a responsibility to make spaces in which social inclusion and engagement can happen. I particularly liked Erinma’s focus on citizen science as a learning opportunity; projects should give something back to the people who contribute the data and help them to learn. Along the way Erinma introduced some fascinating and inspiring projects including Turing’s Sunflowers, Farm Hack and Manchester City of Science Robot Orchestra. For a more comprehensive overview of Erinma’s talk I’ve created a storify of tweets here: Crowd Sourcing for Community Development Storify and Erinma’s slides area available on Slideshare here. “Open silos” might seem like a contradiction in terms, but this was one of the themes that emerged during last week’s Open Knowledge Open Education Working Group call which focused on Open Data as Open Educational Resources. We heard from a number of initiatives including the Creating Value from Open Data project led by Universities UK and the Open Data Institute which is exploring how open data can support the student experience and bring about tangible benefits for UK higher education institutions, and Open Data as OER, led by Javiera Atenas and Leo Havemann, which is gathering case studies on the use of real world open data in educational contexts. While the benefits of open data are widely recognised in relation to scientific and scholarly research, open data also has considerable value in the context of teaching and learning. Many governments, non-governmental organisations and research centres are already producing large volumes of open data sets that have the potential to be used as open educational resources. Scenario based learning involving messy, real world data sets can help students to develop critical data literacy and analytical skills. And perhaps more importantly, as Javiera pointed out, working with real world open data from real governments and communities doesn’t just help students to develop data literacy skills, it also helps to develop citizenship. ETA Javiera and Leo collecting case studies about pedagogical uses of open data across the world. If you have a case study you would like to add, you can join the project’s idea-space here: Open Data as Open Educational Resources idea-space. Tim Coughlan of the Open University also spoke about his experience of using open data to teach introductory programming to undergraduates. Using open data introduces an invaluable element of realism and complexity as the data is flawed and inconsistent. Students come up against challenges that it would be difficult to introduce artificially and, as a result, they learn to deal with the kind of problems they will encounter when they get real programming jobs. Towards the end of the meeting there was an interesting discussion on the effect of Research Council mandates on open data and open education. Although open access, open education and open data have all made significant progress in recent years, there has been a tendency for these domains to progress in parallel with little sign of convergence. Research Council mandates may have had a positive impact on open access and open research data however the connection has yet to be made to open education and as a result we have ended up with “open silos”. Indeed open access mandates may even have a negative impact on open education, as institutions focus their efforts and resources on meeting these requirements, rather than on getting their teaching and learning materials online and sharing open educational resources. So while it’s great that institutions are now thinking about how they can link their open research data with open access scholarly works, we also need to focus some attention on linking open data to open education. There’s no simple solution to breaking down the barriers between these “open silos” but exploring the converging and competing cultures of open knowledge, open source, open content, open practice, open data and open access is just one of the themes we’ll be focusing on at the OER16 conference at the University of Edinburgh next year so I hope you’ll be able to come and join us. 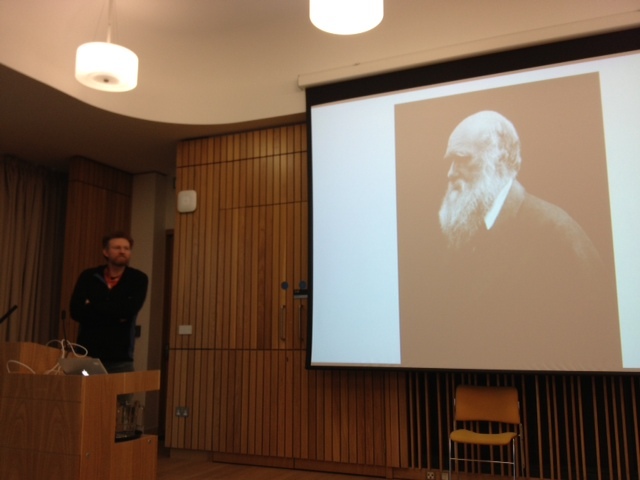 Earlier this week I was invited by Ewan Klein and Melissa Highton to speak at Open.Ed, an event focused on Open Knowledge at the University of Edinburgh. 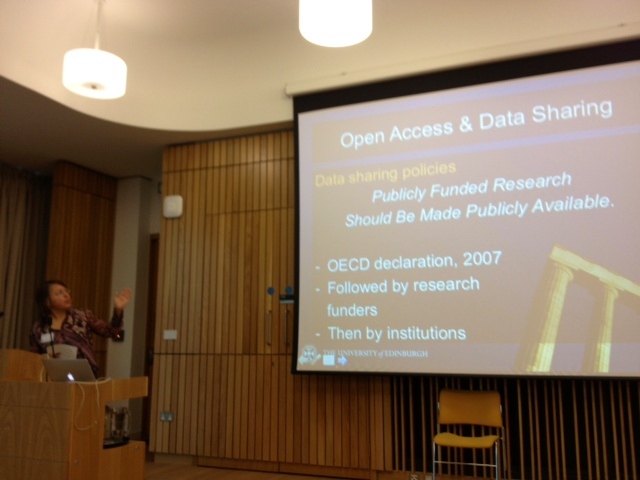 A storify of the event is available here: Open.Ed – Open Knowledge at the University of Edinburgh. Ewan set the benchmark for the day by reminding us that open data is only open by virtue of having an open licence such as CC0, CC BY, CC SA. CC Non Commercial should not be regarded as an open licence as it restricts use. Melissa expanded on this theme, suggesting that there must be an element of rigour around definitions of openness and the use of open licences. There is a reputational risk to the institution if we’re vague about copyright and not clear about what we mean by open. 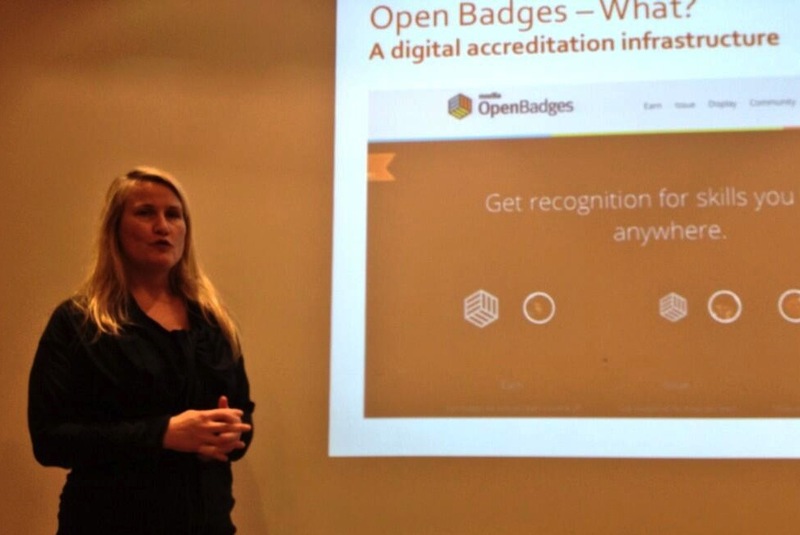 Melissa also reminded us not to forget open education in discussions about open knowledge, open data and open access. 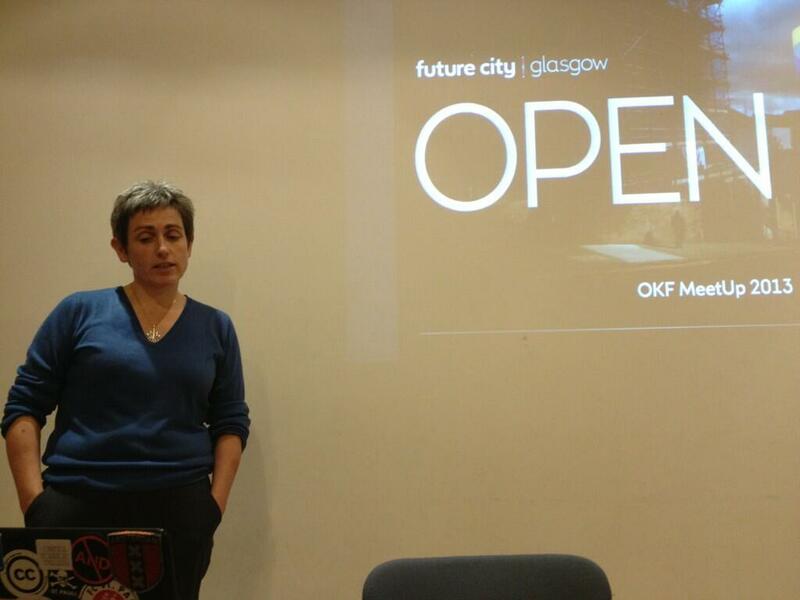 Edinburgh has a long tradition of openness, as evidenced by the Edinburgh Settlement, but we need a strong institutional vision for OER, backed up by developments such as the Scottish Open Education Declaration. Ally Crockford, Wikimedian in Residence at the National Library of Scotland, spoke about the hugely successful Women, Science and Scottish History editathon recently held at the university. However she noted that as members of the university we are in a privileged position in that enables us to use non-open resources (books, journal articles, databases, artefacts) to create open knowledge. Furthermore, with Wikpedia’s push to cite published references, there is a danger of replicating existing knowledge hierarchies. Ally reminded us that as part of the educated elite, we have a responsibility to open our mindsets to all modes of knowledge creation. Publishing in Wikipedia also provides an opportunity to reimagine feedback in teaching and learning. Feedback should be an open participatory process, and what better way for students to learn this than from editing Wikipedia. 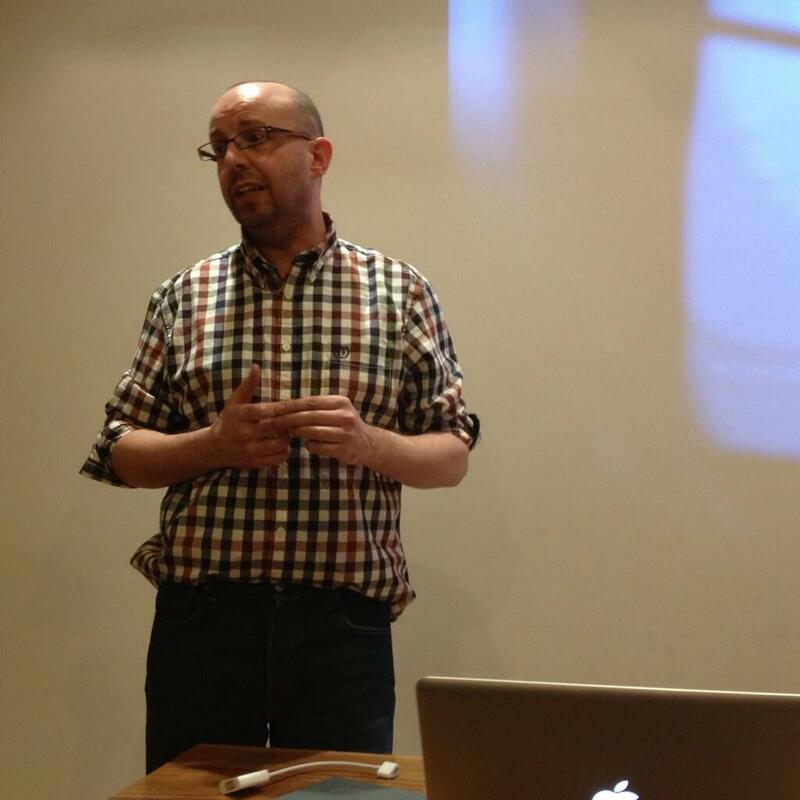 James Stewart spoke about the benefits of crowdsourcing and citizen science. Despite the buzz words, this is not a new idea, there’s a long tradition of citizens engaging in science. Darwin regularly received reports and data from amateur scientists. Maintaining transparency and openness is currently a big problem for science, but openness and citizen science can help to build trust and quality. 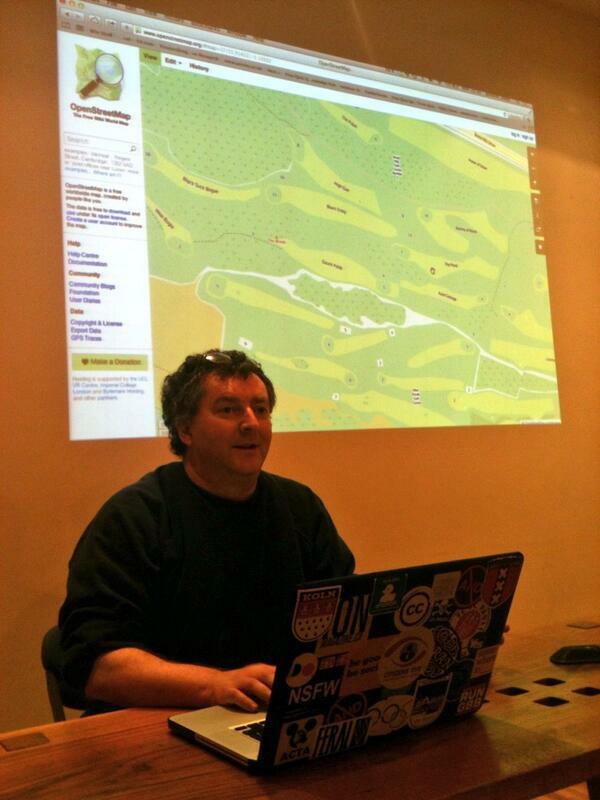 James also cited Open Street Map as a good example of building community around crowdsourcing data and citizen science. Crowdsourcing initiatives create a deep sense of community – it’s not just about the science, it’s also about engagement. After coffee (accompanied by Tunnocks caramel wafers – I approve!) We had a series of presentations on the student experience and students engagement with open knowledge. Paul Johnson and Greg Tyler, from the Web, Graphics and Interaction section of IS, spoke about the necessity of being more open and transparent with institutional data and the importance of providing more open data to encourage students to innovate. Hayden Bell highlighted the importance of having institutional open data directories and urged us to spend less time gathering data and more making something useful from it. Students are the source of authentic experience about being a student – we should use this! Student data hacks are great, but they often have to spend longer getting and parsing the data than doing interesting stuff with it. Steph Hay also spoke about the potential of opening up student data. VLEs inform the student experience; how can we open up this data and engage with students using their own data? Anonymised data from Learn was provided at Smart Data Hack 2015 but students chose not to use it, though it is not clear why. 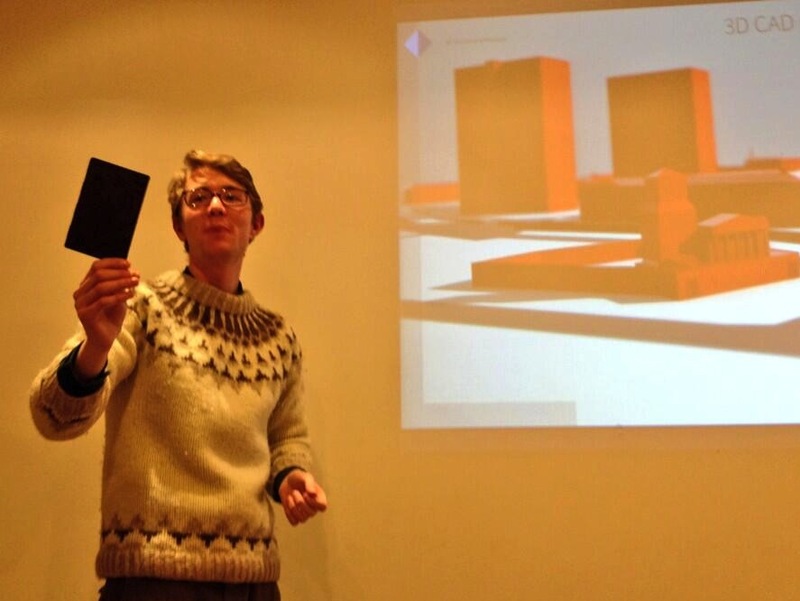 Finally, Hans Christian Gregersen brought the day to a close with a presentation of Book.Ed, one of the winning entries of the Smart Data Hack. Book.ed is a app that uses open data to allow students to book rooms and facilities around the university. What really struck me about Open.Ed was the breadth of vision and the wide range of open knowledge initiatives scattered across the university. The value of events like this is that they help to share this vision with fellow colleagues as that’s when the cross fertilisation of ideas really starts to take place.